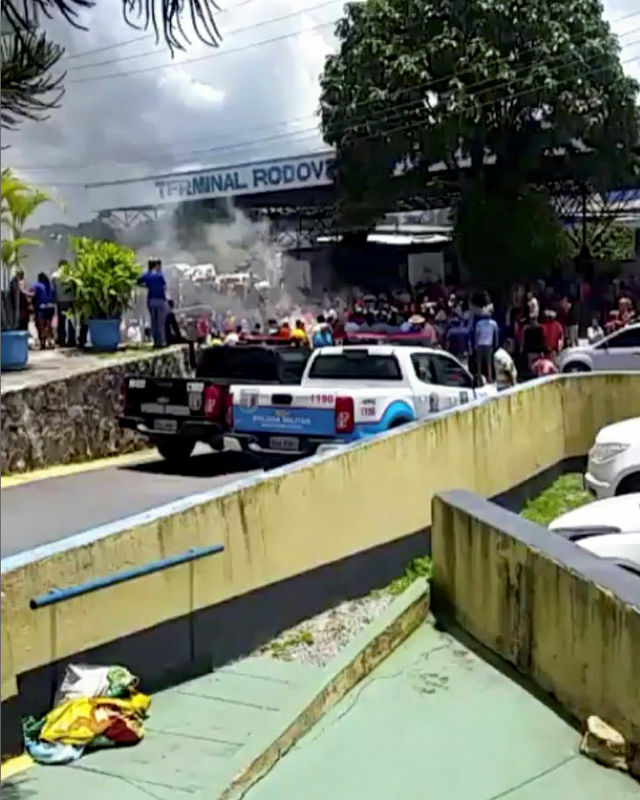 BRASILIA (Reuters) – Angry residents of the Brazilian border town of Pacaraima ran riot and drove out Venezuelan immigrants on Saturday after a local restaurant owner was stabbed and beaten, residents and government officials said. The outburst of anger was sparked by the robbery and severe beating of a resident in his home on Friday night by four Venezuelans, Roraima state security secretary Giuliana Castro said by telephone. The four Venezuelan suspects stole 23,000 reais ($5,800) from the restaurant owner, identified only as Raimundo. He suffered head injuries and was taken to hospital unconscious but was reported to be out of danger, said Castro, who is also head of the state’s police force. After crossing back into their country, Venezuelans migrants attacked a group of 30 Brazilians who were shopping across the border and who had to be taken to a shelter, Castro said. Venezuela’s government expressed concern about reports of attacks on its citizens and a “massive eviction” of Venezuelans, and asked Brazil to guarantee their safety. A foreign ministry statement said the violence was fueled by xenophobia. A Pacaraima resident who asked to be identified only as Ismael said by telephone that the four Venezuelans allegedly entered the restaurant owner’s home, tied him and his wife up and stabbed and beat the man severely before robbing his house. “Out, out, out! Go back to Venezuela,” demonstrators shouted at the Venezuelans as they rushed passed the border post carrying what they could, video images distributed by the Roraima government showed. The Brazilian government said late on Saturday that it was sending more troops to Pacaraima to back up border police.